SheBOOM Magazine interviews Issa PR Founder and CEO, Viet N’Guyen to discuss entrepreneurialism, taking risks and making Vanity Fair’s “Downtown 100” List of “relevant and inspired people who define Downtown Manhattan”. 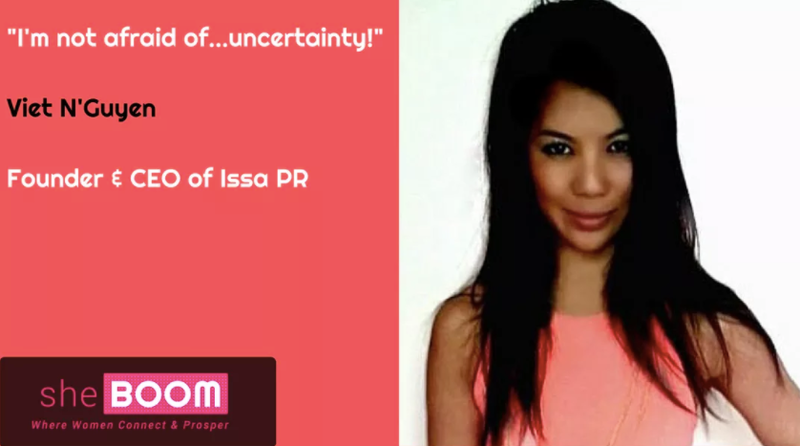 Viet explains, “by taking risks and investing time and creative energy into every client and campaign”, Issa PR has quickly expanded into new industries and territories in its short infancy. SheBOOM Magazine is a business magazine that reports on female CEOs and entrepreneurs. It covers all realms of business, technology, finance, lifestyle, trends and more. Click on the link below to read more.